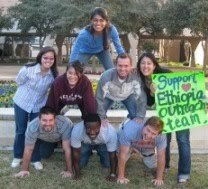 Ethiopia Outreach is a team of medical students and a physician from the University of Texas Health Science Center in San Antonio that has partnered with Common River, an NGO in Aleta Wondo, to bring sustainable healthcare to rural parts of Ethiopia. Thank you so much for coming to check out our blog and showing your support. 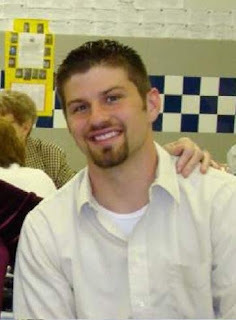 My name is Wade Murray and I also will be going to Ethiopia this summer. I spent the early years of my life growing up in Seattle, but moved to Pflugerville (just north of Austin) during my freshman year of high school. I attended UT Austin for undergrad and I am now lucky enough to find myself here in Medical School in San Antonio. Medical School has been fun... and extremely challenging so far, but I am enjoying every second. A couple months ago the 1st year students were presented with many opportunities to pursue over the summer such as research programs, preceptorships, and many volunteering opportunities. Any of these would be a great experience and help me farther my medical experience, but the reason that I chose this trip to Ethiopia was because I believe the work we will do over there will greatly help those who need help the most. I know we will not be able to change everyone's life or circumstance during our short trip, but to me, any life that I can affect in a positive way is an awesome opportunity. I am truly looking forward to the chance to provide healthcare to those who would otherwise receive none. Many of the other members on the team have done medical mission trips like this to other parts of the world during there undergraduate careers and have had wonderful experiences doing so. Unfortunately, I did not get to. I think that is another reason why I am so excited about this trip. I am ready to head out there and start learning as much as I can about practicing medicine, the Ethiopian culture, traditions and way of life. I know that it will be the experience of a lifetime. For more information on how to support Ethiopia Outreach, please see http://www.texashumanities.org/ethiopia.cfm. Embassy of Ethiopia - Washington D.C.